Medical compressed air is classified as a pharmaceutical product, which means that medical compressed air systems must comply with a number of statutory requirements and standards. Our clients trust Q Air-California because our quality and reliability standards are consistent with the stringent guidelines governing the safe and reliable supply of compressed air in hospitals, dental practices, laboratories, and other healthcare settings. Q Air-California works with reputable medical device manufacturers and hospital equippers to come up with customized and compliant solutions for use in highly sensitive applications in the delivery of medical compressed air. You need a highly reliable source of absolutely pure breathing air that is suitable for supplying to patients with breathing difficulty. For such applications, we provide a compressed air system that dries, purifies, and treats the compressed air in multiple stages to deliver medical compressed air that is compliant. Many surgical instruments and tools, such as those used for puncturing, dissecting, or drilling operate with compressed air. Moreover, medical devices need to be dried at regular intervals using compressed air. Our compressed air systems can be connected to sterile filters to deliver breathing air quality that can be given to patients in need of artificial respiration or used in anesthetic systems. At Q Air-California, we provide medical air compressor equipment that is oil-free, 100% safe and reliable, for use in clinical work, hospitals, veterinary labs or dental practices. We have both piston-type and rotary screw compressors for hospitals depending on the quantity of air you need and its application. There are also oil-flooded and oil-free compressors. Regardless of the type of system in place, your hospital compressed air system must incorporate a compressed air treatment unit, such as filters (for dust, oil, fumes, water, etc) and compressed air dryers. Oil-free - We can pair our oil-less reciprocating air compressors with other top quality equipment depending on your specific application. Our oil-less systems don’t contain any oil in the crankcase or compression chamber. 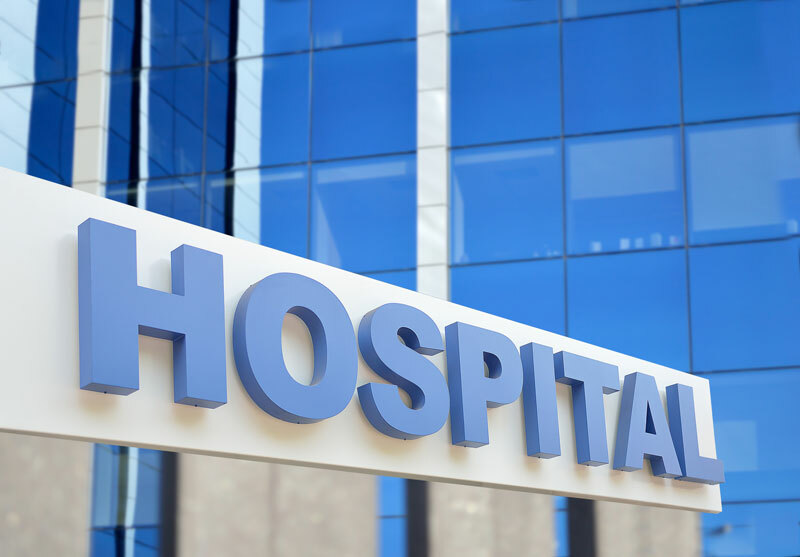 We realize that there are stringent requirements for your hospital’s air quality. This system ensures that you have enough air pressure for your application, and that the air you get is free of contaminants. Oil-lubricated compressors - For multiple applications, it is uncommon for a laboratory to use the same air system as the medical air system or the research and development department. In such cases, larger oil-lubricated compressors can be used with proper filtration. Highly reliable systems - From operating theaters to patient beds to laboratories, medical compressed air has multiple applications in hospitals, and must be readily available at all times. As such, our systems are designed with a minimum of dual redundancy to guarantee steady supply of compressed air in the event that one compressor breaks down. It is important to check with the local authorities about the requirements on the cleanliness of compressed air for your specific application. For compliance and optimal performance, we take frequent samples of the compressed air to ensure that it’s up to the standards, and perform regular service and maintenance to prevent any issues. With human lives at stake, our compressed air systems prioritize safety. But even so, we have engineered our systems to maximize efficiency and reduce costs for a great return on investment. Contact Q Air-California for a safe, reliable, and affordable air compression system for use in your hospital.